Our extensive experience shows Anello Fence is the company to call when you select your sports fencing contractor. From outfield fencing to backstops, from dugouts to batting cages, Anello Fence is the best baseball field fence builder in the tri-state area. 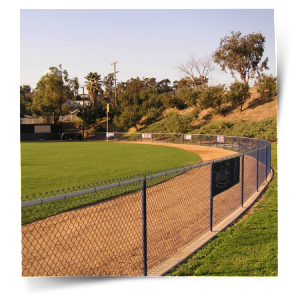 We have worked on athletic fences for all levels – middle school, high school, college. Call us today with any of your baseball field fencing questions. We would be glad to answer them for you!